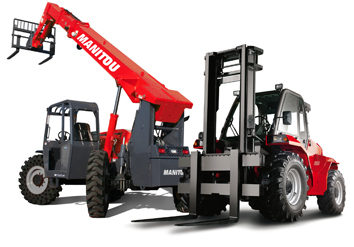 Manitou equipment provides a premium solution to any agricultural, construction, mining, environmental, warehousing transport or industrial task. With products for aerial manlifts right through to full size cranes, Manitou products are an efficient way to get your next job done. 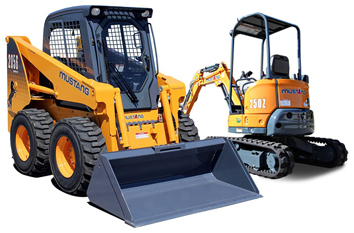 Mustang provides equipment made up of wheeled skid steer loaders, track loaders, articulated front end loaders and excavators. 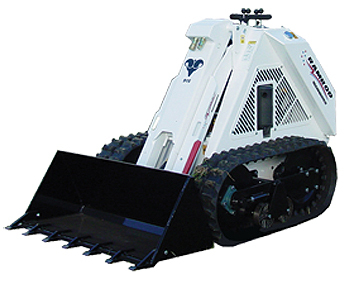 From highly compact machines that can fit in your back yard to full size commercial units, Mustang provides many options that are sure to fit your equipment needs. With over a century of innovation, Yanmar provides some of the world's best equipment. 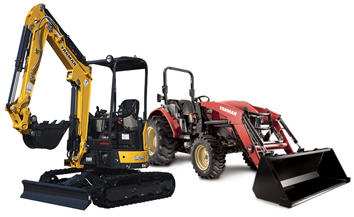 With products ranging from excavators and compact tractors, Yanmar sets the standard for premium equipment. Whatever your needs are, Yanmar is sure to exceed your expectations. With over 16 models to choose from, Hustler mowers provide a wide range of options to residential, commercial and industrial lawn care professionals. 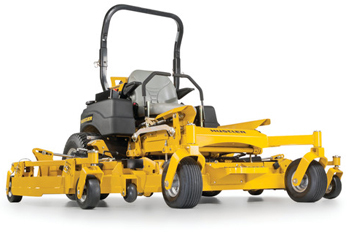 Constructed with premium welded decks, reliable engines and convienent flip-up models, Hustler turf products will help you cut grass fast. As the first to introduce mini skid loaders to North America in 1980, RAMROD sets the standard for power, reliability and versatility. For over 35 years, RAMROD has engineered solutions for construction, demolition, underground mining, fencing, agriculture, irrigation, and hundreds of other applications. Transform your machine into a specialist! 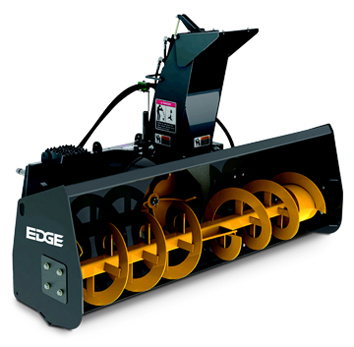 Whether you have your own piece of equipment and are looking to rent a special attachment, or want us to supply you with a machine and attachment combo, our wide selction of universal attachments are sure you turn your machine into a specialist.